Sindy’s not ‘foaling’ around, Magic leads her pony world. Every day, she spends ages brushing and braiding Magic’s mane. The stylish duo always turn heads when they’re out for a ride. 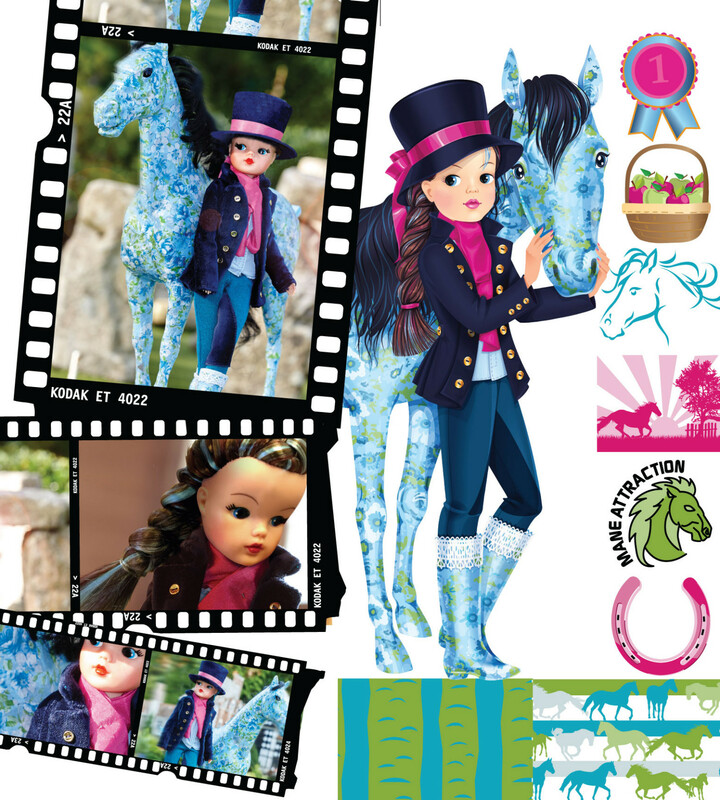 In her smart jodhpurs and a navy jacket, Sindy is well prepared for the upcoming dressage show. When not practising for the show, Magic likes to gallop. Luckily, Sindy loves to go as fast too. It’s such a thrill to ride across the fields at speed with her pretty pony pal. But outdoor adventures make them both hungry. That’s why Sindy always takes plenty of apples to share with her pony pal. Magic loves to munch on her favourite crunchy treat.